There’s a boatload of reasons why a private charter is better than a big cruise ship. Here are four of the biggest considerations. On a private yacht, you’ll have input on which ports you want to visit during your trip. You can consult with your captain to design the ideal schedule and destinations. Another plus: you’ll have access to charming, secluded islands and beaches that big cruise ships can’t reach. Cruise ships have to feed 3000+ guests. You can expect mass-produced meals similar to those served in banquet halls. On the other hand, most private yachts include a dedicated chef who can prepare meals and beverages suited to your personal taste. If you have specific dietary requirements, your chef can plan for that, too. Cruise ships have plenty of scheduled activities for you to enjoy on board, but the exercise areas and pools can become crowded. Even finding a beach chair to relax in can be a challenging task! The same is not true on a private yacht. Our yachts are equipped with more than enough water sports equipment for you to enjoy. They usually have SCUBA equipment and some even have a SCUBA-certified instructor among the crew. Most private yacht charters are all-inclusive cruises. That means you don’t have to reach in your pocket every time you want a cocktail. And you won’t have a gargantuan bar tab at the end of your vacation, either. You also won’t have to pay for activities that are offered on your yacht, like SCUBA diving or snorkeling. And you won’t have to stand in line for anything at all. 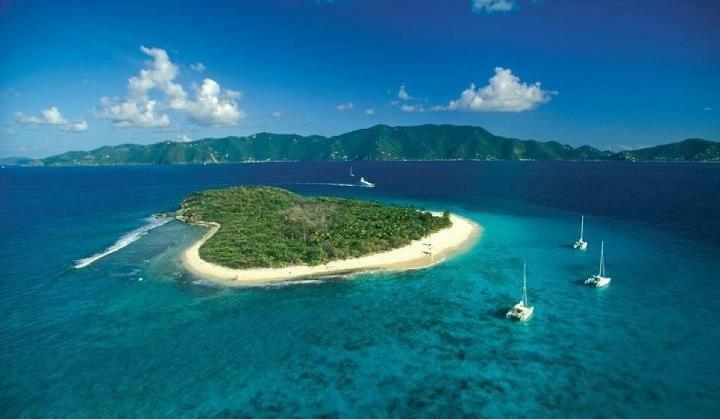 If you want to see the Caribbean up close, enjoy personal service that pampers you, consider a private yacht cruise. You’ll be able to set your own timetable and itinerary. You can enjoy any number of exciting watersport activities. Or you can just kick back and relax with a cool tropical drink and let the world float by on your private deck. Many people think a private yacht cruise is only for the rich and famous, but that’s not true! You can enjoy a one-week, all-inclusive cruise aboard a fully crewed luxury yacht for as little as $2,500 per person. Would you like to learn more about Caribbean cruise on a private yacht? Please contact us below. We’d be happy to discuss any questions you may have about arranging an exciting and custom tailored private yacht cruise. For more information, contact Dennis at Charter the Caribbean at 317-745-1990 or email charter@charterthecaribbean.com.